Where was this food grown? How far is the farm from here? Where did the seed come from? Is it heirloom? Do you collect and save seed? How do you grow your crops? All organic? Any pesticides – organic or chemical? Are your methods sustainable? Do you take measures to protect and nurture the soil? These are all great questions that we should be asking about the food we eat and how it is grown. It’s time to ask similar questions about the plants that we buy for our landscapes. Not knowing the provenance of plants makes your purchase a crap shoot– the plants may not be successful in your landscape or may offer little or nothing to local wildlife. Even worse, plants grown in other regions may introduce serious new pests and diseases in your landscape. Locally-sourced, locally-grown native plants from reputable nurseries are an informed gardener’s first choice. 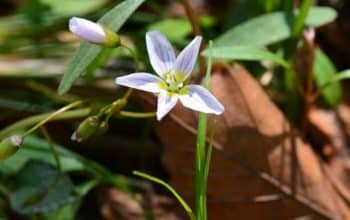 Native plants that persist in a particular ecological region have evolved to adapt to the conditions of that locale. The particular soil, geography, micro-climate and other factors result in native plants that are uniquely suited to their environs (aka “ecoregion”). Imagine that you live in Connecticut in an area with wind-blown, frigid winters. Your landscape is rocky with acidic, well-draining soil. You decide to plant a red maple and you select a robust-looking tree at the nearby big box store. When planting the red maple you discover that the root ball is encased in a dense mound of red clay – often a giveaway that the plant has been grown in the deep South in heavy, moisture-laden soil. How well adapted will that plant be to your conditions? The outcome is not very promising. A far better choice would be to shop at a local nursery that has collected red maple seed from your ecoregion, growing the seed in conditions similar to your landscape, in soil similar to your native soil. 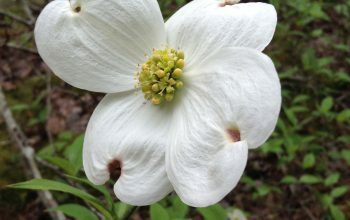 These “local genotype” plants will have the genetic makeup to flourish in your landscape conditions, while being genetically different individuals – critical to a healthy ecosystem. Watch the EcoBeneficial interview with Kyle and Lisa Turoczi of Earth Tones Native Plant Nursery in Woodbury, Connecticut, for an example of a nursery that is doing this well. While we take it for granted that you don’t marry your cousin, we often skip that genetic rule in horticulture. Inbreeding, in the form of plant cloning, is common in the world of plant propagation. This comes with a high ecological cost, since genetic diversity is essential to a healthy environment. Perhaps you would like to plant Echinacea purpurea (Purple Coneflower). Buying plants grown from locally-collected, locally-grown seed would ensure the greatest genetic diversity, and adaptability in your ecoregion. Unfortunately, it is often very difficult to find anything but native cultivars (aka nativars) for sale. With all cultivars, there is some loss of genetic diversity – in some cases, a tremendous loss. While some nativars can be grown from seed, most are grown vegetatively as clones, meaning that every one is genetically the same with the same DNA. One example of a nativar clone is Echinacea purpurea ‘Pink Double Delight’ which has been selected and propagated for its double-petalled flowers. Echinacea purpurea ‘Pink Double Delight,’ the clonal “kissing cousin” mentioned earlier, is quite showy, but its double flowers have displaced most of the nectar, pollen and seed that support wildlife. Its ecological functioning is poor. Other nativars may be more ecologically useful, but it depends on the cultivar. (For more information on this topic see the EcoBeneficial video interviews with Annie White on her research at The University of Vermont on pollinators and nativars). 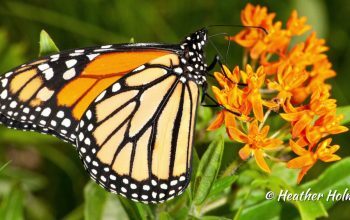 Through the tremendous research of Dr. Doug Tallamy of the University of Delaware, we know that there are chemical differences between exotic plants and native plants, making many exotic plants less useful to creatures such as butterflies. There is evidence that there may even be chemical differences between plants of the same species, grown in different parts of the country. 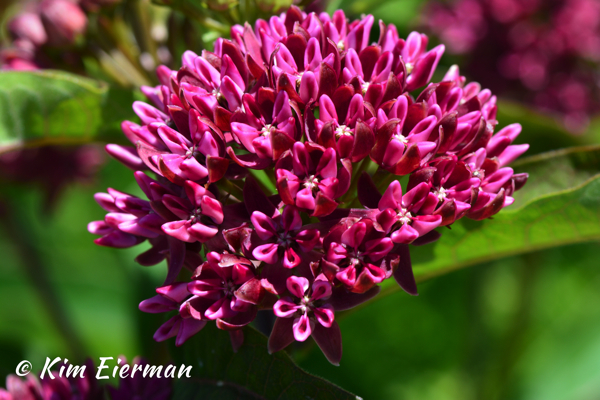 More research is needed, but to be safe, plant locally-grown, locally-sourced native plants for best ecosystem impact. 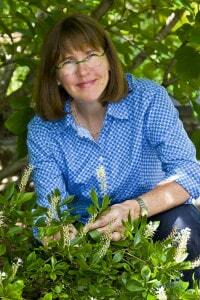 Happy Plant Shopping from Kim Eierman at EcoBeneficial!